Neil Armstrong in the Lunar Landing Training Vehicle-2 at Ellington Air Force Base in 1969. 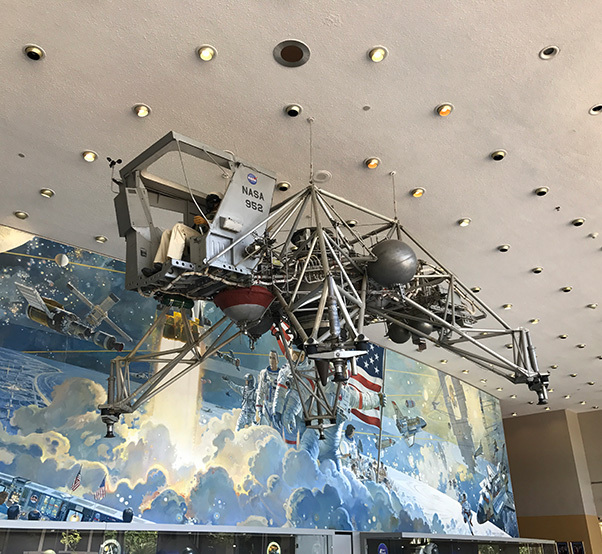 Critical to the Apollo training program, the Lunar Landing Training Vehicle allowed astronauts to master the intricacies of landing on the Moon by simulating the Lunar Module’s performance. Dubbed the “flying bedstead,” the ungainly contraption is “a much unsung hero of the Apollo Program,” according to Apollo 8 astronaut Bill Anders. 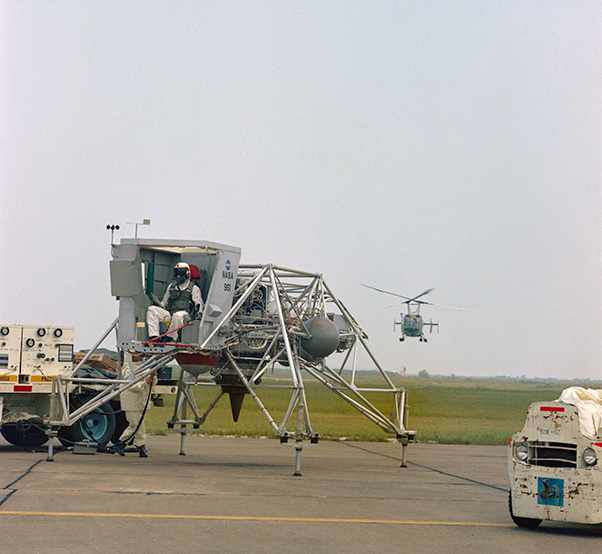 The open-framed LLTV used a downward pointing turbofan engine to counteract five-sixths of the vehicle’s weight to simulate lunar gravity and LM-like thrusters for attitude control. The astronauts were thus able to simulate maneuvering and landing on the lunar surface while still on Earth. The first training vehicle (LLTV-1) arrived at Ellington Air Force Base in Houston in October 1967. Joining it and two earlier Lunar Landing Research Vehicles from which they were derived, LLTV-2 and LLTV-3 arrived on Dec. 7 and 10, respectively. 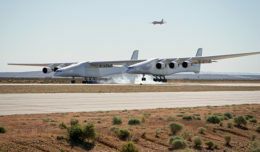 The LLRV was the first pure fly-by-wire aircraft to fly in Earth’s atmosphere, relying exclusively on three analog computers to execute the pilot’s commands, and aided in the development digital fly-by-wire technology for future aircraft. The LLTV’s were overall similar to the LLRV’s, but used newer electronic technologies that made them lighter and allowed for improvements in their structural integrity. The LLTV’s also incorporated an improved ejection seat. Following the loss of LLRV-1 on May 6, 1968, in which astronaut Neil Armstrong ejected mere seconds before the vehicle crashed, NASA grounded all the vehicles pending an investigation. It was revealed that unanticipated depletion of helium used to pressurize fuel tanks resulted in loss of vehicle control. 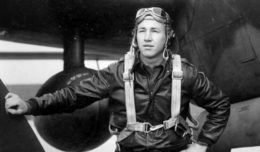 NASA implemented appropriate changes such as installing pressure gages and flights resumed in October, but LLTV-1 crashed on December 8 when undetected wind shear exceeded aerodynamic control limits, with veteran pilot Joe Algranti ejecting safely. This crash occurred just before Armstrong was to begin training for his Moon landing mission. Neil Armstrong ejecting from the Lunar Landing Research Vehicle-1 on May 6, 1968. Following another investigation, flights resumed again in April 1969, just in time for Armstrong to complete his required training using LLTV-2 prior to launching on the first mission to land humans on the Moon three months later. All subsequent Apollo commanders and their backups trained extensively using the LLTV to master the technique of landing the LM on the Moon’s surface. 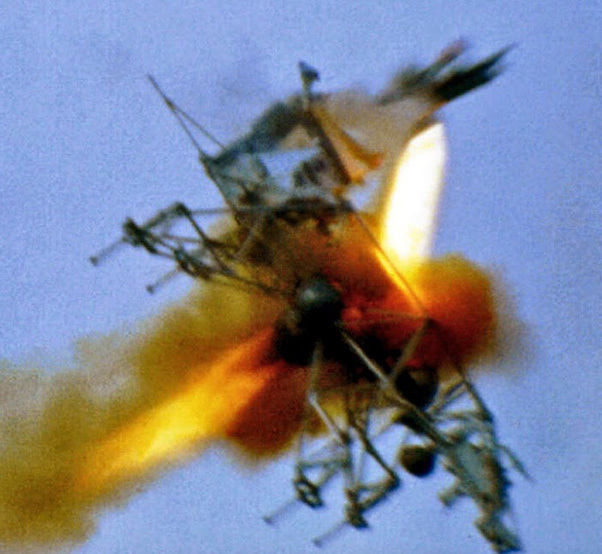 In January 1971, with three crews left to train, LLTV-2 crashed during a training flight following failure of its primary electrical system, pilot Stuart Present ejecting to safety. Astronaut Gene Cernan piloted the only remaining flight-worthy vehicle (LLTV-3) on November 13, 1972, three weeks before Apollo 17, the final Moon landing mission. LLRV-2 is on display at the Air Force Flight Test Museum at Edwards Air Force Base, Calif., (on loan from Armstrong Flight Research Center) and LLTV-3 is part of an exhibition on the space program outside the Teague Auditorium at Johnson Space Center. The only surviving model, the Lunar Landing Training Vehicle-3, on display at Johnson Space Center outside the Teague Auditorium.